attempt to decompile or rebuild any product or material contained on Selling Indy Metro, LLC web site. This permit might consequently be terminated if you disregard any of these confinements and may be ended by Selling Indy Metro whenever deemed necessary. After permit termination or when your viewing permit is terminated, you must destroy any downloaded materials in your ownership whether in electronic or printed form. Selling Indy Metro is not responsible for the accuracy of the information found on SellingIndyMetro.com. We are glad to provide you with helpful information that comes from third party sites providing you with listings, Active and Sold but we are not responsible for any inaccuracies that may be found. It is your responsibility to verify all information presented on SellingIndyMetro.com. inferred guarantees, or impediments of obligation for weighty or coincidental harms, these confinements may not make a difference to you. 4. Amendments exact or current. Selling Indy Metro may do improvements to the materials contained on its site whenever without notification. Selling Indy Metro may or may not update the materials. Selling Indy Metro does have links to outside parties. Utilization of any links to third party sites is at the user's own risk. SellingIndyMetro may update these terms on its website whenever without notification. Your privacy is of great importance to Selling Indy Metro, LLC. We ask for contact information on forms asking for the client’s Name, phone number, email and address information when you ask for information on a home or you are seeking information on Selling your home. We provide answers to your request for Real Estate services provided by Selling Indy Metro, LLC. We do not sell or share your information outside Selling Indy Metro. We use your information only for your needs and purposes related to Real Estate Services offered by Selling Indy Metro, LLC. We also have links to other websites such as YouTube, Facebook, Linked In, Twitter, Tour Factory and other sites. Selling Indy Metro is not responsible for the privacy practices of any links to websites out of SellingIndyMetro.com. 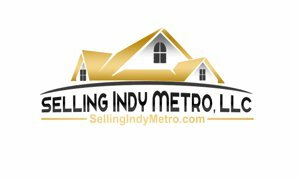 We don’t require you to provide any information but your use of SellingIndyMetro.com may be limited. We don’t intend to collect information on children under the age of 13. We market exclusively to adults. If you are under the age of 18, you may use our website with the permission only of a parent or guardian. Selling Indy Metro does not track your browsing habits on third-party sites. The materials showing up on Selling Indy Metro, LLC site could incorporate typographical, or photographic mistakes. Selling Indy Metro does not warrant that any of the materials on its site are completely accurate, even though we try to supply accurate information.